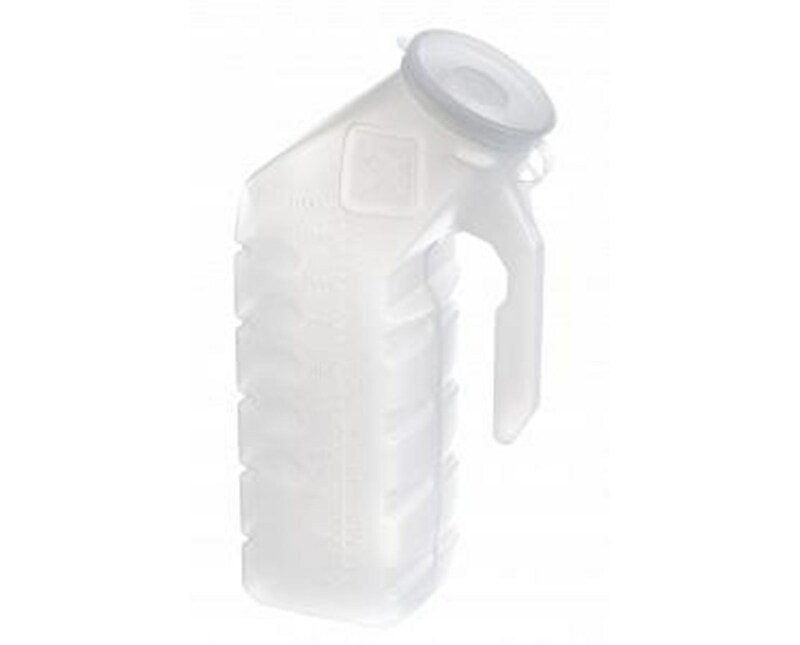 The Supreme Urinal is a plastic 32 oz container that is clear for easy measuring. 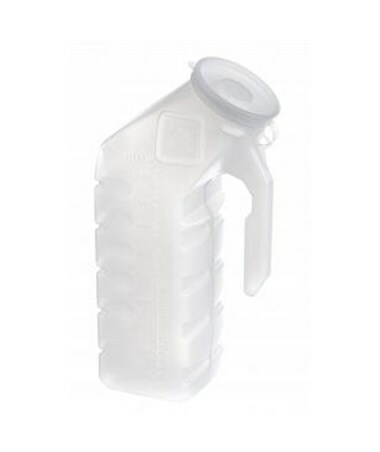 The lid is leak resistant and has an ideal opening angle for use. It can be hooked on to the bedrail with its compatible handle. The bottom is ribbed for extra strength. Purchase a Supreme Urinal either in a case of individually right here online, select a quantity from the drop down above and press add to cart!